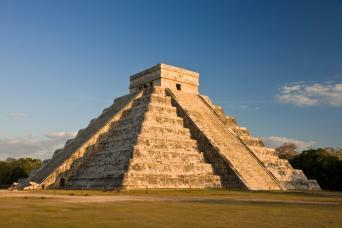 Enjoy a private tour of one of the most impressive archaeological sites of the Yucatan Peninsula. 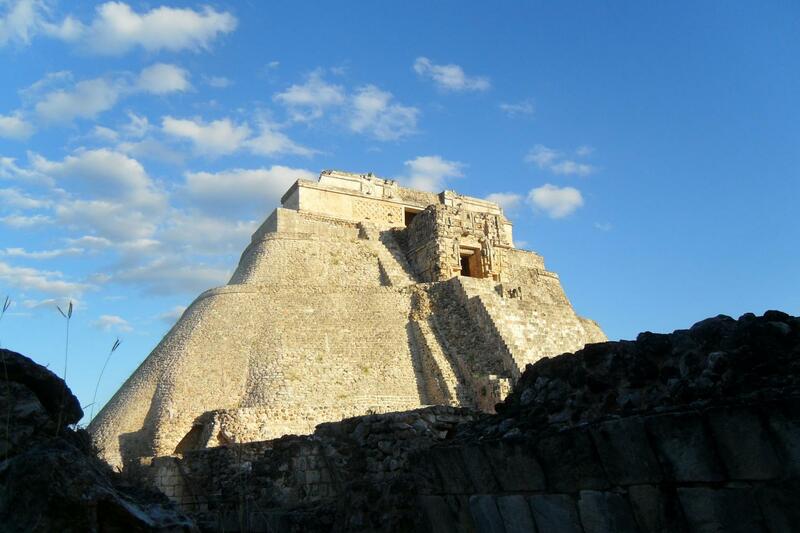 Visit Uxmal’s Archaeological Site with a private bilingual guide. Use all of the facilities at our hotels, The Hacienda Uxmal and The Lodge at Uxmal, including swimming pools and restaurants. Private roundtrip transportation aboard a Mercedes Benz vehicle. Gray Line Certified private bilingual guide. Free use of all facilities of the hotels Hacienda Uxmal and The Lodge at Uxmal: swimming pools, lounge chairs, restaurants, etc. This service is for up to 6 passengers. Bring comfortable clothing and walking shoes, a hat, sunglasses, mosquito repellent, sunscreen, a camera and cash for expenses like admission to the archaeological site, meals, drinks, etc. You will be picked up from Progreso at the time of your preference aboard a luxury Mercedes Benz vehicle. 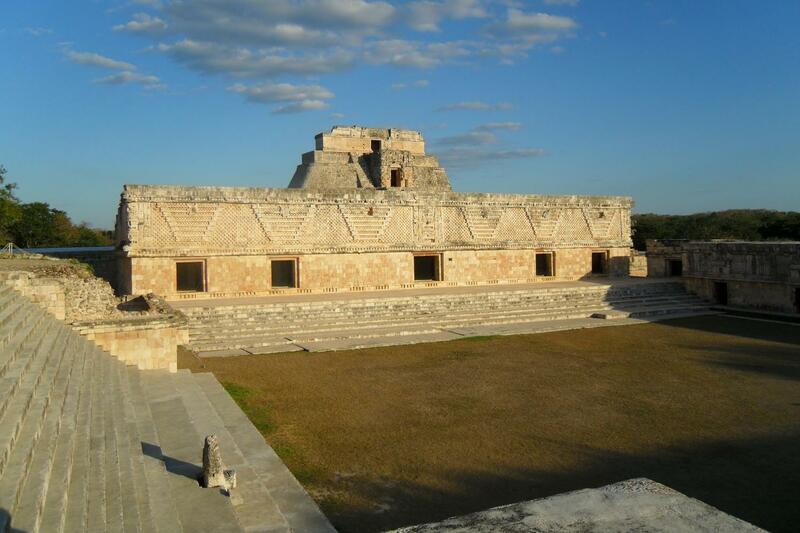 Go directly from your hotel to Uxmal’s Archaeological Site, known by many as place of legend and myth. 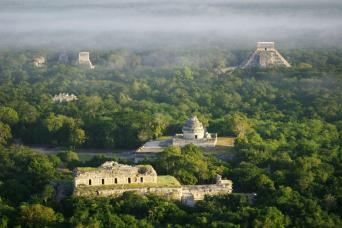 It is situated within a series of hills known as the Puuc or “mountainous area” in the Mayan language. 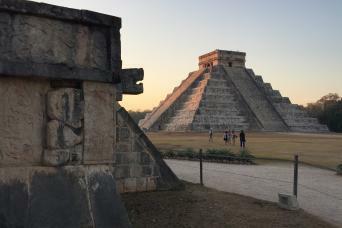 In this amazing archaeological site a private bilingual guide will take you to explore colossal constructions like the Magicians Pyramid, the Governors Palace, the Dove’s Temple and the Nuns Quadrangle. 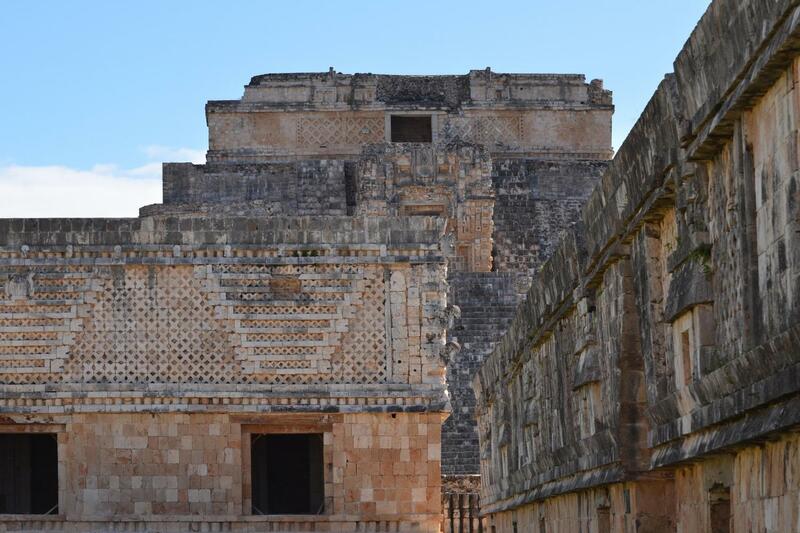 The archaeological structures and buildings located throughout Uxmal are ornamented with geometrical figures and masks of the rain god, Chaac. The rain god was considered by the Maya people as one of the most important of their deities. After your visit you will have the opportunity to enjoy a delicious lunch at the restaurants of either the beautiful Hacienda Uxmal or in the gardens of the Lodge at Uxmal surrounded by unique Maya Palapas. You will return to Progreso at your time of preference aboard a private Mercedes Benz vehicle.